Sun 5:00 pm–10:00 pm Beginning January 1,2019, online reservations will temporarily not be available. Please check back later for availability. METRO Access Is The Courthouse Metro Station On the Orange Line. Premium cuts, aged and butchered in-house, and specialty butcher cuts at reasonable prices. Washingtonian Top 100 Best Restaurants every year since 2003. Not a conventional, expense-account steakhouse. We do not offer traditional, formal service or elegant, romantic accommodations. Creamed spinach is great. I’m not a steak person, but the salmon is very good and my friends loved their steaks. Server was friendly and attentive. Ray’s hangar steak is the most flavorful piece of meat I have ever had. It is why I keep coming back. 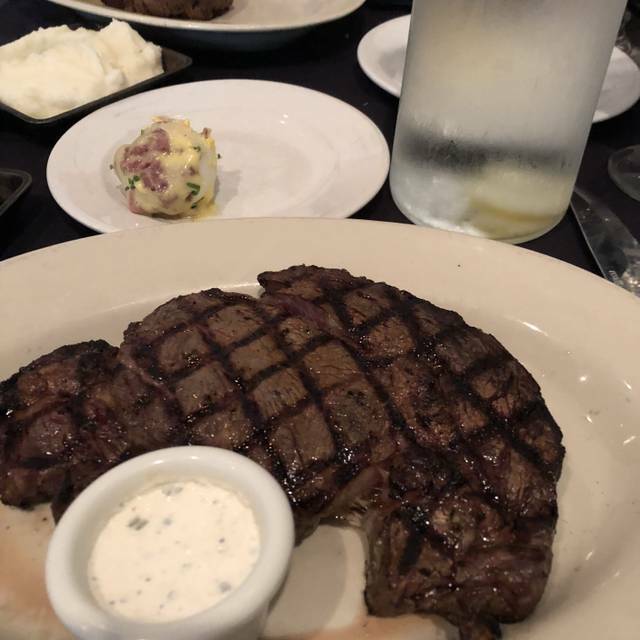 Ray’s is my favorite steakhouse in the DC area and is a tremendous value. 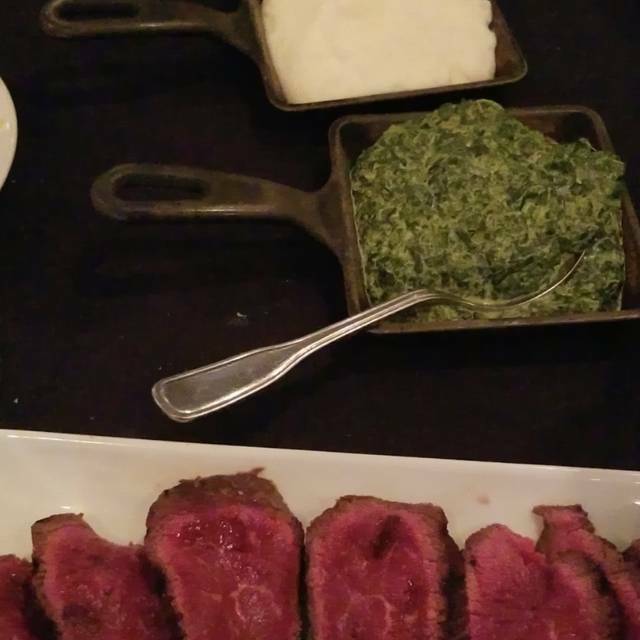 The cuts of meat are fantastic and come with creamed spinach and mashed potatoes. The wedge salad comes with massive bacon chunks, and all the side orders are outstanding and reasonably priced. The staff are professional, knowledgeable. empowered and cherished by management and it shows. 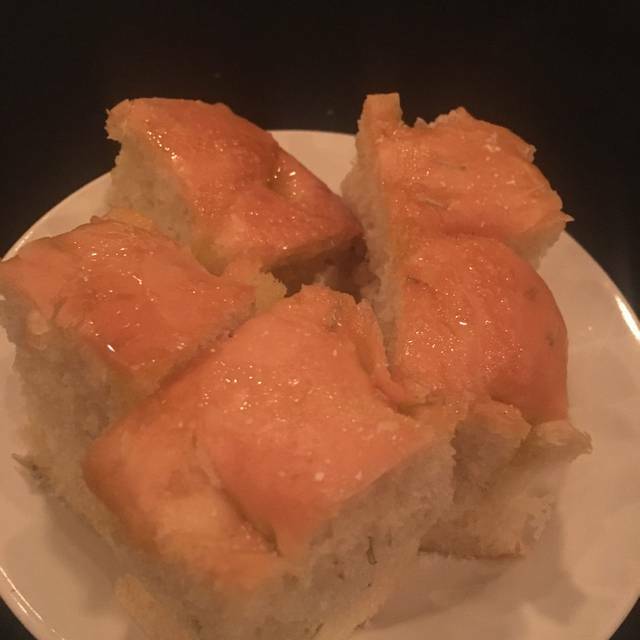 There simply isn’t another Arlington steakhouse that comes close and the high end steakhouses downtown are competitive with Rays quality-wise but get crushed on the value factor. If you want a properly cook, flavorable steak at a reasonable price, this is the place. They pride themselves on providing great meals in a relaxed environment and the deliver every time we go. They may not be the fanciest steakhouse in the Washington area but they certainly are the best. Patrons for 14 years since the time of the Original Rays. 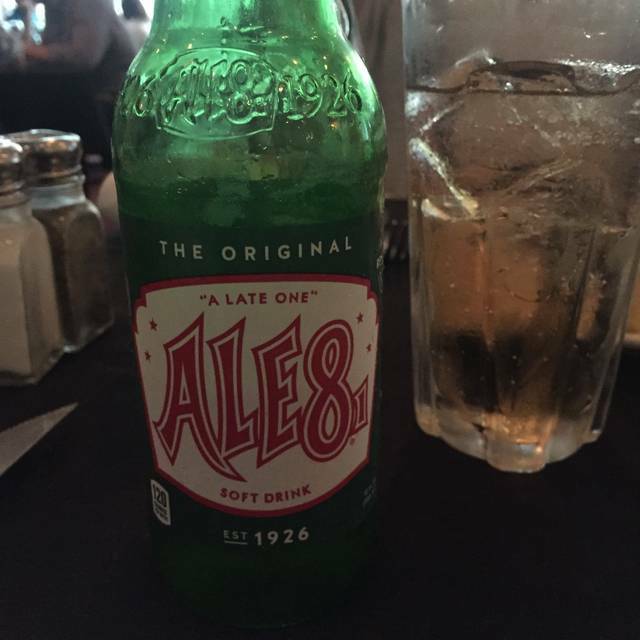 Drive from MD, and past several other options on our way. The space was rundown, our server was not personable and very inattentive, and the steaks were mediocre at best Subpar vs. “Ray’s standards”!! They’ve truly lost their touch and we will not return. Friendly and attentive staff; good food, excellently prepared; outstanding steak! 12 people with 12 definitions of a great meal....100% satisfied! Kind of a miracle...thank you! I wanted to order the filet and scallops, but they were unfortunately out of scallops. So I chose the filet by itself. It was very tender and cooked correctly. The garlic mashed potatoes are very good and are also unlimited. I'd say it was a good steak, but I probably won't make the trip to Arlington for it again. Steak was rare when I asked for medium rare. Waitress insisted we get more spinach when we both declined. My girlfriend then agreed to a little extra spinach... waitress returned with full plate of spinach that neither of us wanted. We ended up leaving all the spinach. We had key lime pie for dessert and it tasted delicious as well. They just do it all right. Food is always awesome and if you want to tweak something they do everything possible to accommodate. Somewhat informal fine dining in an absolutely delicious steakhouse. A nice break from the normal Steakhouse that everyone makes and is always the same. Everyone enjoyed it. Best value for a top quality restaurant steak ever! Absolutely love this place. Food is fabulous. Service is fantastic. Thank you all for having this little gem of a place. Owner is witty, charming and has a great restaurant! Our waiter would not let us place an order for an appetizer until we order our main dishes. Surprise! They all arrived together. This use to be a good place but it’s gone downhill. 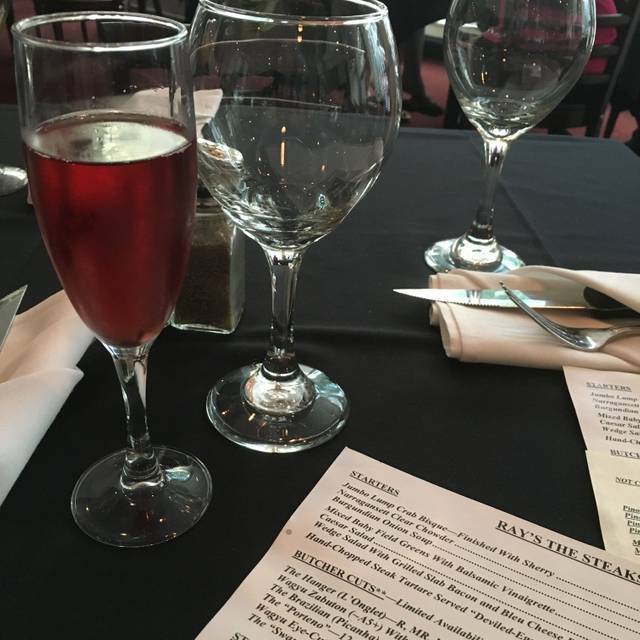 I hadn't been to Ray's the Steaks in 2 years and had a disappointing experience. Although the sauces were excellent, the meat wasn't particularly flavorful. 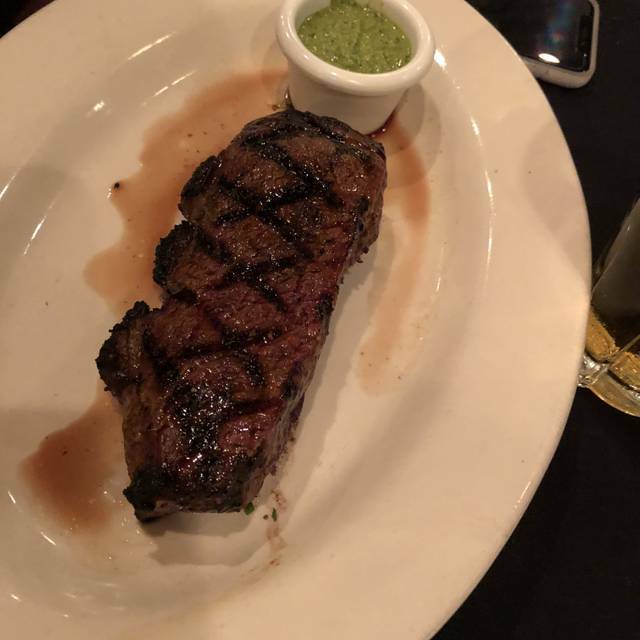 I wanted my steak medium rare and it came medium to medium-well. The high point of the meal was the crab soup to start and the creamed spinach. Went with my 11 and 12 year-old sons. Everyone had a great steak, good experience and we love the non pretentious atmosphere. 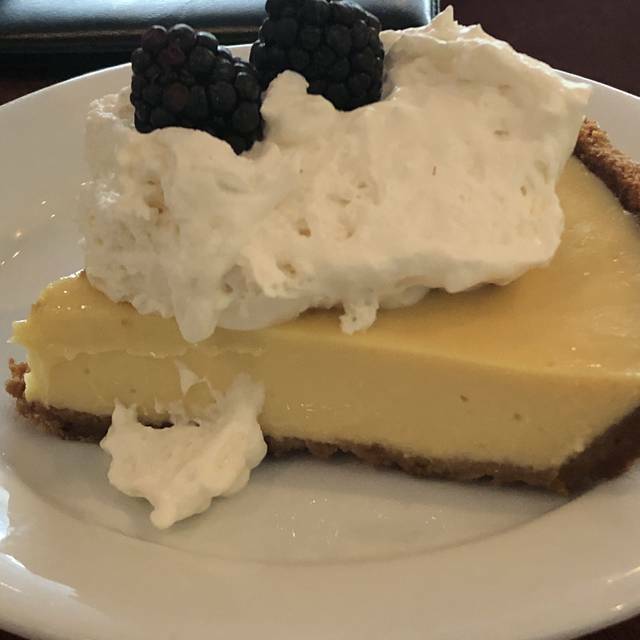 Excellent steaks as expected but the real surprise was the key lime pie. Food was absolutely delicious. For the price point you literally cannot get a better steak. I just wish they still served coffee. Staff was friendly and did not hover too much. Overall, great experience but could use some coffee. 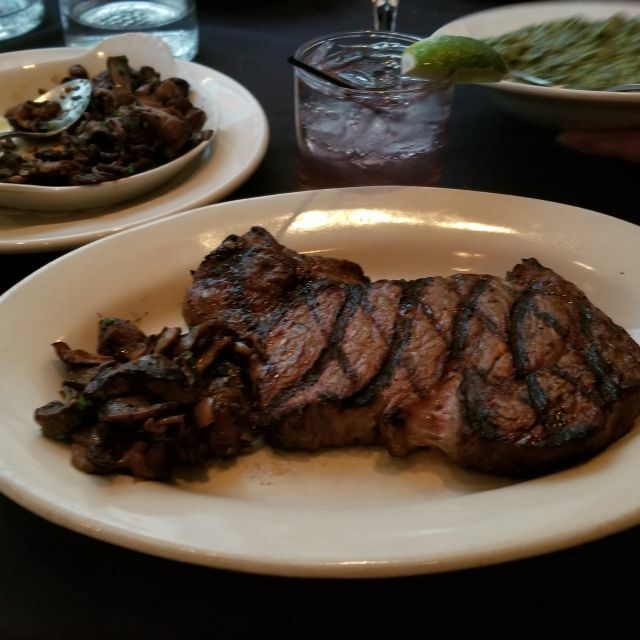 Amazing steaks in town- we found our spot for special occasions! I love how they have a simple menu with different steak selections. Outstanding prep of their steaks! Recommend getting garlic mashed potatoes. When you spend this much money on a steak you expect it to be cooked as ordered. We ordered a medium Porterhouse to share and it was rare and cold! We,ve eaten here over a dozen times and have never been disappointed. Just miss a cup of coffee with the delicious desserts. Prices have gone up, decor is bland and food quality was average. A bit disappointing. It was great on every level. Unbelievably juicy prime cuts of steak. You will not find better quality for the money, especially when unlimited sides of mashed potatoes and creamed spinach are included with the price of the entree. Knowledgeable wait staff. Our waitress described the characteristics of the wines we selected very accurately. Can't wait to go back. Awful ambience and decoration, overpriced food. Another great experience at Rays.staff and food are great ! I know that steakhouses partially pre-cook the steaks but this literally came out a few minutes after I ordered it: not nearly enough time to cook it properly. Each meal comes with creamed spinach and mash. The latter was likely boxed potatoes and watery to boot. I won't be coming back. Just terribly disappointing...first time visitor and will never return. 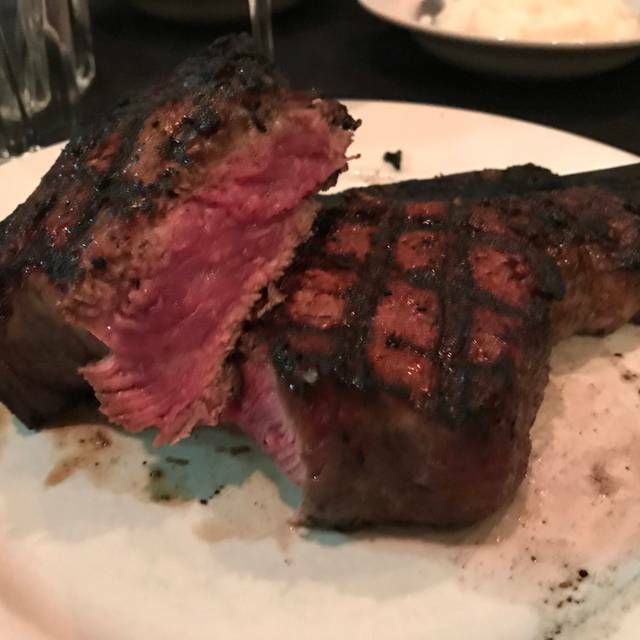 Ordered the 60 day aged Delmonico, recommended med rare, but it was served blackened and charred. Shrimp scampi was swimming in orange glob, only received one glass of water and never refilled. Upon complaining that the steak was too charred to eat, was only offered a piece of pie, and manager never came by to ask us about our issue. Meeting friends from 30 years ago. Birthday celebration! Everything was great, steaks superb!